South Pacific Eclipse Cruise: 20 - nights in November 2012. Explore the many beautiful islands and cities in the South Pacific in November. Leave the tropical Honolulu for Hilo, a city with a lush coast and the most spectacular waterfalls and imposing Volcano. Be greeted with true island sulture in Pago Pago, Samoa. This tropical destination will delight you with its magnificent mountain ridges, wonderfully peaceful bays, tranquil villages and some of the world's most remote and utterly beautiful reefs and beaches. Bula! is what you'll hear from the friendly Fijian people. Suva is the capital of Fiji built on a peninsula jutting out into the sea. Its architecture is a mixture of modern and traditional colonial buildings. You’ll discover it’s natural beauty in as many as 78 parks. Nestled beside the beautiful Mount Maunganui, and behind the luscious Matakana island is the port city of Tauranga. Spend the day in this friendly city with much to do and explore or just lie on the beach at the mount! Dock in New Zealands largest city, Auckland. Step ashore and into a surprisingly cosmopolitan environment. And once you venture inland, even more surprises await, including a total of 48 dormant volcanoes, a lush, leafy urban cityscape filled with beautiful parks, and a number of renowned art galleries. Head North the the beautiful Bay of Islands, with beaches considered some of the best in the world, with perfect white sand and crystal clear water. Look out for a dolphin! End the cruise in Sydney. A city among the world's most exciting cities with dazzling beaches and the Sydney Opera House, an architectural marvel and arguably the most recognizable performing arts venue. Ports of Call: Honolulu, Hilo, Pago Pago - American Samoa, International Dateline, Suva, Solar Eclipse (cruising), Tauranga, Auckland, Bay of Islands, Sydney, Sydney. What do you call a place that offers world-class restaurants, Broadway-style shows, a luxurious spa and amenities that rival the grandest hotel on land? We call her Millennium; you'll call her magnificent. To sail on Millennium, the first of our Millennium-class of ships, is an experience that cannot be expressed in words. Stride her decks and see for yourself what those who have experienced her already know: Millennium is more than a ship; she is a special memory waiting to be had. Read more about the Celebrity Millenium here! Book the South Pacific Eclipse Cruise here! Turn on Island Time and travel to the Bahamas. Be greeted with sun, sparkling waters and warm breezes. From Port Canaveral head to Nassau. Visitors from all over the world visit in search of relaxation and adventure, after all the town was once home to notorious pirates! 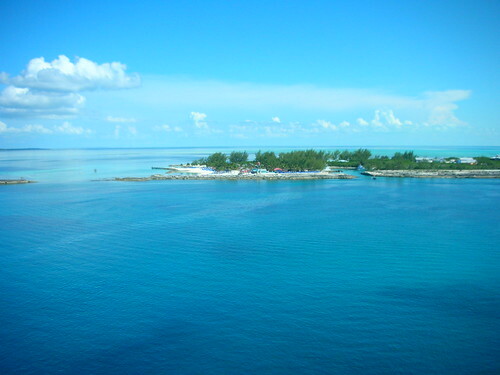 Surrounded by the gentle, translucent waters of the Bahamas chain lies the secluded island of Coco Cay. With its white-sand beaches and spectacular surroundings, CocoCay is a wonderland of adventure. Reserved exclusively for Royal Caribbean guests, this tropical paradise has recently been updated with new aquatic facilities, nature trails and a ton of great places to just sit back, relax and enjoy a tropical drink. Sailing Dates: Departs: Fri, Nov 2 2012. Arrives: Mon, Nov 5 2012. Monarch Of The Seas offers several outstanding dining options in addition to its two main dining rooms and the casual Windjammer Café buffet restaurant. The new venues include Jade, an Asian-fusion restaurant offering the tastes of Southeast Asia; the line's first sushi bar; a gourmet pizza station; and a sit-down, coffee and ice cream parlor featuring Seattle's Best Coffee specialty drinks and Ben & Jerry's ice cream. Recent onboard renovations included expanding the spa and fitness facilities; refurbishing guest staterooms, public areas and lounges; as well as the addition of the Latin-themed Boleros bar, The Circuit nightclub, and three, teen-only hangouts. Read more about the Monarch of the Seas here! Spend 10 nights relaxing aboard the Island Princess looking out to the sparkling waters of the Panama Canal. Dutch influence still lingers on Aruba as part of the Netherlands' Antilles until independence in 1986. This balmy Caribbean island is a study in contrasts. 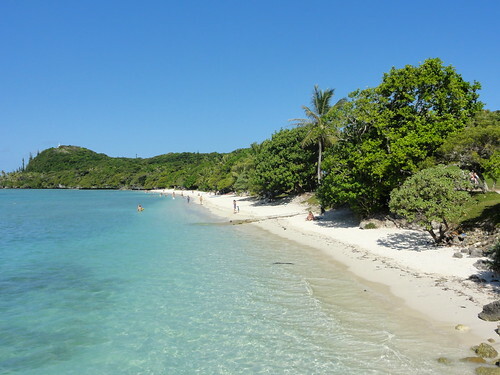 Its arid interior is dotted with cactus and windswept divi-divi trees while secluded coves and sandy beaches form its coast. The modern and bustling city, seaport and commercial center, Cartagena, Colombia, still boasts much of its original Spanish colonial architecture. Explore this beautiful and historic city's walled Old Town. Its fortress walls, quaint, narrow streets and balconied houses are all vivid reminders of its former colonialists. Cruise to Panama and witness one of the great engineering feats of the 20th century, The Panama Canal. Shop in the duty free port of Colon and enjoy the magical mixture of mangroves, pristine beaches, waterfalls, volcanoes, lush tropical rainforests and amazing wildlife in Limon, Cost Rica. 365 days of crystal-clear warm water and almost no current give Grand Cayman the ideal conditions for diving and snorkeling. You'll be amazed at the breathtaking marine life and seascapes that provide underwater photographers with subject matter beyond compare. Even those who don't want to get wet can experience awesome sea viewing from the comfort of a submarine. Sailing Dates: Departs: Fri, Nov 2 2012. Arrives: Mon, Nov 12 2012. Island Princess is a fabulous floating resort designed to make your stay onboard truly memorable. This vessel has 90% ocean-view staterooms - with over 700 balconies and a wrap-around Promenade Deck. So, after being mesmerized by the scenery off the bow, get dazzled by the entertainment in the state-of-the-art lounges and myriad dining options. Read more about the Island Princess here! Book the Roundtrip Panama Canal Cruise here! Mediterranean Cruise: 7 Nights in November 2012. Be the envy of everyone after being on this 7 night cruise through the Mediterranean. Set sail from Genoa and dock in Portofino, a small italian fishing village comune and tourist resort. 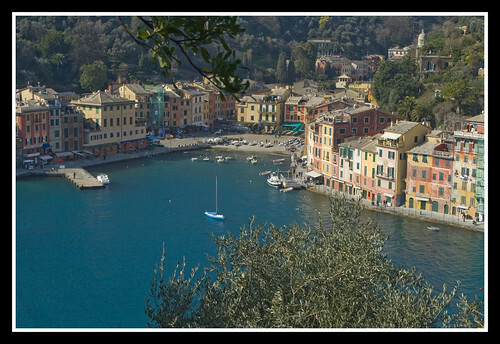 Portofino is a delight to visit, crowded around it's little harbour the sparkling waters and charm pull everyone in. Civitavecchia, the gateway to Rome, where you you can gaze at Michael Angelo's paintings in Sistine Chapel, explore the colosseum or be awestruck by all the historical monuments around town. Salerno - A vibrant and bustling city rich of lovely medieval churches and holds one of the loveliest cathedrals in southern Italy. La Goulette is the capital of Tunisia, the northernmost country in Africa, but the city feels neither Arab nor African. It's a place where old and new mix without any seeming conflict, in both the architecture and way of life. With plenty to see and do you'll have a fun and adventurous day. Step into Paradise at Ibiza, with the most charming unspoilt beaches of them all. Dine in the many cafes and walk the cobbled streets before heading to the beautiful scenery of Palma. Breathe in the air in Marseille, so clean that it attracted artists such as Cezanne, Braque; Derain; Dufy and Marquet. Sailing Dates: Departs: Fri, Nov 2 2012. Arrives: Fri, Nov 9 2012. Treasures of the Inca Coast Cruise: 18- nights in November 2012. Experience the Inca coast of South America and all the wonders it has to offer! Set sail from Fort Lauderdale on your 18 night cruise and arrive in Fuerte Amador, Panama. Formerly a fortified armory, this newly developed port is the portal to colonial Panama City. Perched on the banks of the Guayas River, step into Guayaquil, Ecuador followed by the Port town of Salaverry, Peru. A 45-minute drive from the port city of Callao brings you to exciting Lima, the City of Kings. The handsome old buildings from the earliest colonial days surrounding the Plaza de Armas contrast with the soaring modern towers rising in the newer sections of the city. Adventure in Arica, Chile and then Iquique, Chile. The town's historic center evokes the 1860's to 1920's period with its many fine palatial buildings. Picturesque Valparaiso was one of the first Chilean cities founded by the Spanish. The city is an historic port and university town, famous for its labyrinth hills, which are covered in quaint, colorful old houses and accessible only by a steep climb or by the city's unique system of funicular railways. End the cruise here and you can continue exploring the intriguing South America. Ports of Call: Fort Lauderdale, Fuerte Amador, Guayaquil, Salaverry (Trujillo), Callao, Arica, Iquique, Valparaiso. Sailing Dates: Departs: Thu, Nov 1 2012. Arrives: Mon, Nov 19 2012. Total length of Cruise: 18-nights. With their unmatched sense of style, elegance and grace, The Yachts of Seabourn beckon you to travel beyond the bounds of the imagination. Aboard Seabourn, every desire is met promptly and with a welcoming smile. Whether it'¬s a warm blanket and a cup of gourmet hot chocolate as you drift along the Norwegian Fjords or a relaxing neck massage poolside, you'll feel that you're a member of a very exclusive club. Seabourn Odyssey and Seabourn Sojourn carry just 450 privileged travelers to some of the most desirable destinations on earth in consummate comfort and sophisticated ease. Read more about the Seabourn Sojourn here! Book the Treasures of the Inca Coast Cruise here! Caribbean Transatlantic Cruise: 22 nights in November 2012. Adventure awaits you in the sun soaked Caribbean. Bask in the balmy sun and return to Britain sun kissed and relaxed! The first Port of Call is Ponta Delgada, Portugal. A strong Portuguese influence pervades Ponta Delgada from the stylish colonial architecture to the food and wine served in its restaurants. The capital of Sao Miguel, the largest of the nine mountaineous, thickly-forested Azores islands, Ponta Delgada is probably the most spectacularly beautiful, too. It certainly has the most dramatic attraction: Sete citadades.This is a 15 square mile extinct volcanic crater in which two separate lakes have formed - one deep blue, the other emerald green. They make a remarkable sight, not to mention a great photo-opportunity. There is also a chance to bathe in the volcanic streams and therapeutic sulphur springs where locals come to picnic, burying their stewpots and sweetcorn so that they are cooked by natural heat. With over 365 beaches, Antigua is a slice of white sand heaven for every day of the year. Experience the ‘undiscovered’ Caribbean, in the unspoiled British Virgin island of Tortola. Its quaint capital, Road Town, is charming and compact, home to a colourful crafts market and a range of small speciality shops selling Tortolan ceramics, Mexican glassware and unusual carvings sculpted from sea flotsam. At Cane Garden Bay you can tuck into a barbecued freshly caught fish. Experience the mix of French and dutch culture in St. Maarten and bask on the beautiful beaches in St. Lucia. In Barbados you can enjoy every watersport under the sun; stunning nature walks and bike rides; or maybe a trip to the uniquely magnificent Harrisons Cave underground complex of caverns, waterfalls, stalactites and stalagmites. When you travel around Madeira it quickly becomes clear why it is known as the Garden Island - it is simply awash with colour from a breathtaking display of sub-tropical plants and flowers. Locally made wicker furniture, lacework and tapestries all make good buys along with the ubiquitous Madeira wine. Ports of Call: Southampton, Ponta Delgada, Antigua, Tortola, Saint Maarten, Saint Lucia, Barbados, Madeira, Southampton. Sailing Dates: Departs: Thu, Nov 1 2012. Arrives: Fri, Nov 23 2012. Aurora is a cruise ship with a classic British design. Yet life on board feels distinctly cosmopolitan. French chic. Moorish elegance. International glamour. Her affinity for travel is evident throughout. If you are looking for a truly sophisticated cruising experience, she is the superliner for you. Water cascades down her Lalique style Atrium, creating a calm central space. From here you can discover some of her many bars, shops and lounges. Relax in the comfortable surroundings of Anderson's. Enjoy coffee and chocolates in Raffles. Or head to the Crow's Nest for sunset. Fancy something more active? Her gym and golf simulator could be just the thing. Dining on Aurora can be a relaxed or formal affair. Whilst her evening entertainment offers everything from theatre to comedy. All of her Staterooms have a stylish and spacious feel. Read more about the Aurora here! Book the Caribbean Transatlantic Cruise here! Set Sail from Baltimore on a blissful cruise to San Juan. Enjoy the onboard entertainment and beautiful seas before arriving. One of the largest islands in the Eastern Caribbean, Puerto Rico's landscape encompasses mountains, underground caves, coral reefs, white-sand beaches and an incredibly massive rain forest that supplies fresh water to most of the island. Charlotte Amalie, St. Thomas, is known as an idyllic vacation spot today, but its history is not so peaceful. Swashbuckling pirates such as Blackbeard and Drake traded stolen wares in the port of Charlotte Amalie. This world-renowned Caribbean island is home to amazing beaches, gorgeous sea and landscapes and unbelievable duty-free shopping. Samana, Dominican Republic is paradise found for nature enthusiasts. Somewhat remote and removed from the tourist trail, this patch of paradise is home to one of the most important rain forests and mangrove reserves in the Caribbean. And its crystal-clear coast features some of the best diving on the northern side of the Dominican Republic. So pop on your flippers. On the north coast of Hispaniola, surrounded by beautiful mountain slopes and exotic foliage, sits Labadee®, Royal Caribbean's private paradise. This exclusive destination offers pristine beaches, breathtaking scenery and spectacular water activities. We even have an amazing new Aqua Park for kids. Regardless of where you go, you'll find yourself embraced by the beautiful landscape. Ports of Call: Baltimore, San Juan, Charlotte Amalie, Samana, Labadee, Baltimore. After the ship version of an "extreme makeover" in early 2005, Enchantment of the Seas is fully refurbished and brimming with exciting new features. Bungee trampolines, suspension bridges and an expanded Pool Deck will please adventurous guests, and the interactive Splash Deck is a great spot for kids to get soaked. Enjoy Boleros, a new Latin-themed lounge; work up a sweat in the fitness facilities; and then cool down with a cone from Ben & Jerry's. Enchantment of the Seas is more, well... enchanting, than ever! Read more about the Enchantment of the Seas here! Bridgetown to Bridgetown Cruise: 7 - nights in November 2012. Adventure awaits in the Caribbean, on this cruise to all the best spots! You'll find a fascinating ethnic mix here as Portuguese Jews joined Africans, Arabs, Indians and Europeans on this tropical island which is rich in history and cultural heritage. Its varied landscape is filled with rolling hills, pastures, towering cacti, divi-divi trees and salt flats; a true beauty. The chief attractions of the next port Oranjestad, Aruba are the magnificent beaches, turquoise waters and spectacular marine life, which lure scores of visitors each year to the island. Palm Beach is said to be one of the ten best beaches in the world. You may enjoy Aruba’s exotic underwater world on a submarine excursion. Explore the treasures in Kalendijk, Bonaire and then venture to the “Pearl of the Caribbean”, La Isla Margherita. The main attraction of this island in the Caribbean Sea is its many beautiful, pristine beaches. Margarita Island is divided into two sections tenuously linked by a sand spit. Nutmeg, cinnamon, cloves, cocoa. those heady aromas fill the air in Grenada. The Isle of Spice is a tropical gem of lush rain forests, white-sand beaches, secluded coves, exotic flowers, and enough locally grown spices to fill anyone's kitchen cabinet. St. George's is one of the most picturesque capital cities in the Caribbean, St. George's Harbour is one of the most picturesque harbors, and Grenada's Grand Anse Beach is one of the region's finest beaches. The island has friendly, hospitable people and enough good shopping, restaurants, historic sites, and natural wonders to make it a popular port of call. Ports of Call: Bridgetown, Day At Sea, Curacao, Willemstad, Oranjestad, Aruba, Bonaire, El Guamache, Isla Margarita, St. George's, Bridgetown. Sailing Dates: Departs: Thu, Nov 1 2012. Arrives: Thu, Nov 8 2012. Silversea is recognised as the defining luxury cruise experience. This elite and intimate ship is specifically designed for fewer guests, featuring more space and the highest levels of personalised service. Accommodations are amongst the largest at sea; all have ocean views and butler service and most feature private verandas. Read more about the Silver Whisper here! Book the Bridgetown to Bridgetown Cruise here!